UPDATE: The new crosswalks have been completed – details here. The Baltimore County Department of Public Works will install improvements along Ebenezer Road to slow speeding at Perry Hall Middle and High Schools, Baltimore County Councilman David Marks announced on Thursday. 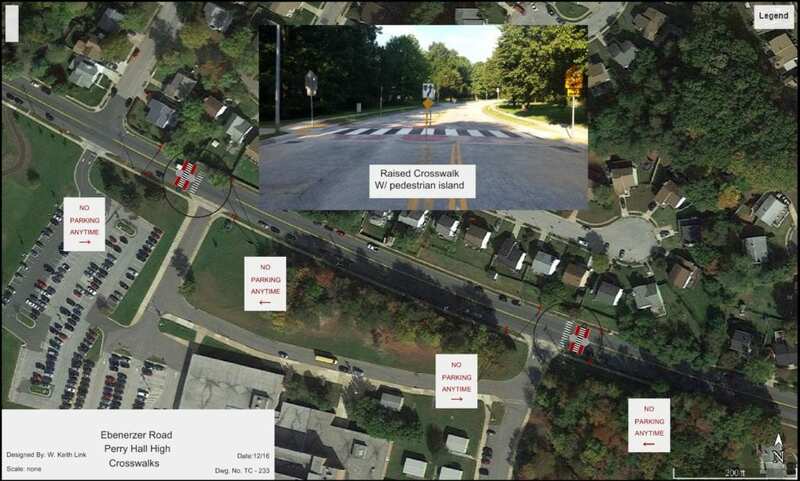 Two raised crosswalks with pedestrian refuge islands will be installed in front of Perry Hall High School. The raised crosswalk is slightly lower than a speed hump, but will help slow the speed of motorists. Additionally, the pedestrian refuge island will allow students a safer place to stand as they cross. Pedestrian ramps will make the area compliant with the Americans with Disabilities Act. A third crosswalk with a pedestrian refuge island will be installed in front of Perry Hall Middle School at Yvonne Avenue. The total cost for the project is $60,000. The improvements will be built next spring. The project is possible because the Baltimore County Council recently modified the county’s traffic calming policy. The county reached out to the principals of Perry Hall Middle and High Schools, and Senator Kathy Klausmeier sent a letter of support. 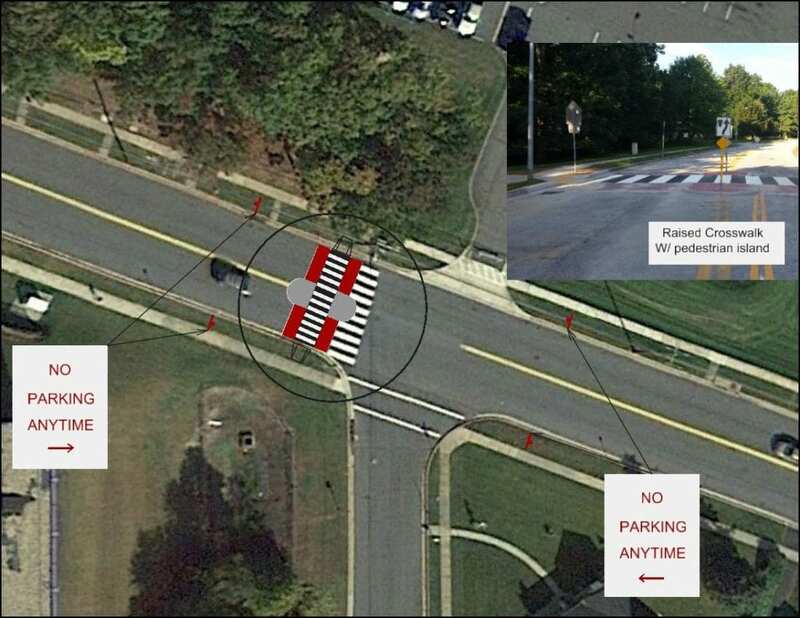 “We thank Baltimore County and Councilman Marks for working to improve safety in this area near Perry Hall High School,” commented Andrew Last, principal at Perry Hall High School. The Perry Hall High School Alumni Association has also been a strong advocate of the project. A diagram of the proposed improvements is below.